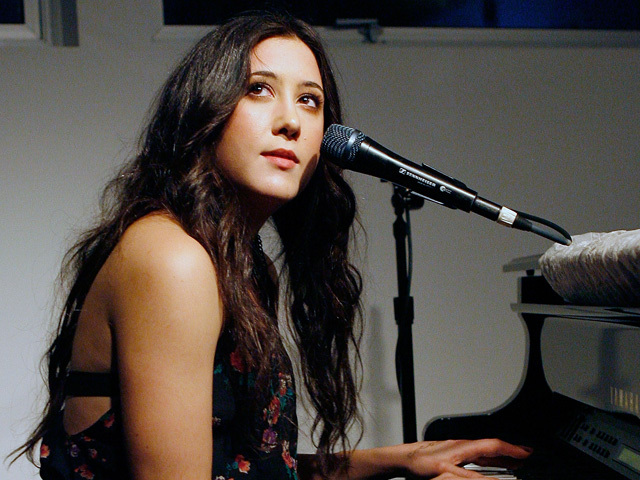 Vanessa Carlton started her career intending to become a professional ballet dancer, but now she's a classically trained pianist, singer and songwriter. Her 2002 debut album, "Be Not Nobody," earned three Grammy nominations. She's followed up that multi-platinum debut with three more albums, the latest of which is titled "Rabbits on the Run." She performed her single "I Don't Want to be a Bride" on "The Early Show on Saturday Morning." According to Razor & Tie, Carlton's label, "(The 10-song album represents Carlton's return) to music-making in its most organic form." The album is said to have been partly inspired by two books, Richard Adams' "Watership Down" and Stephen Hawking's "A Brief History of Time." Carlton has also released a four-song holiday album called "Hear the Bells" on November 21, which includes two holiday classics, "Do You Hear What I Hear," John Lennon's uplifting classic, "Happy Xmas (War Is Over)," an acoustic recording of "Hear The Bells" (from her latest album, "Rabbits on the Run") and the first-ever acoustic re-recording of her mega-hit, "A Thousand Miles."